The sanction of a scheme for research on virus diseases of plants in 1938 by the erstwhile Imperial Council of Agricultural Research, New Delhi was the harbinger for the establishment of Plant Virus Research Laboratory at Pune. The actual functioning of the scheme, however, took place since April 1, 1939 under the administrative control and technical supervision of the then Plant Pathologist, Dr. B. N. Uppal at College of Agriculture, Pune (Bombay State Government). The objective of the scheme was coordinating all research work on virus diseases of plants of this region. The station was renamed as Indian Agricultural Research Institute (IARI), Regional Station, Pune after the transfer of its administrative and technical control to IARI, New Delhi on 1 April, 1956. 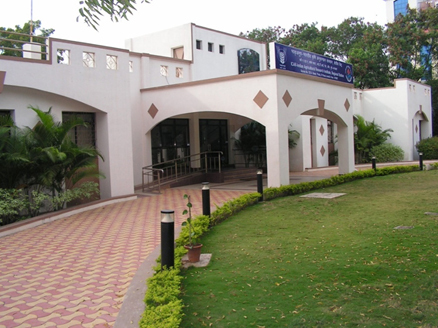 Office and laboratories of the station were shifted to its 18 acre experimental farm at Aundh, Pune on 16 February, 2014. The station is the only one of its kind engaged exclusively in research and extension on virus and virus like diseases of fruits and vegetables. The station has characterized many viral diseases and developed their management practices.